Christina joined Auerbach Glasow in 2017 as a technical designer. Before becoming a full time member of the staff, she worked for the firm as an intern in 2016. In her current role as a designer, Christina collaborates on all aspects of the design process for a wide range of significant projects. Her responsibilities include fixture research and specification, document management, graphic presentation, 3D modeling, daylighting studies and photometric calculations. 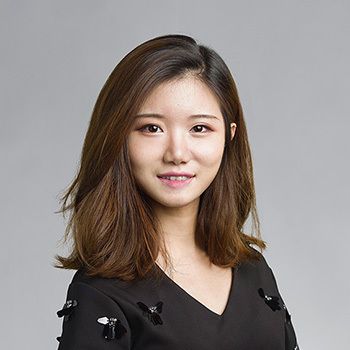 Prior to her internship at Auerbach Glasow, Christina also completed internships for a multidisciplinary engineering firm located in Pennsylvania and the China Northeast Architectural Design & Research Institute Company. Christina participated in various design and planning exercises as part of her rigorous Architectural Engineering education at Pennsylvania State University. She is exceptionally proficient in computer aided design software programs and is fluent in English and Mandarin Chinese.